Don’t fancy chasing a Snapbot for a pair of Spectacles? You’re in luck. Snapchatters in the U.S. can now buy all three colors (black, teal and coral) at Spectacles.com. Spectacles are sunglasses with a built-in miniature camera that take 10-second video clips. They work exclusively with Snapchat and videos can be viewed or sent out through the app. The $129 glasses were previously only available at Snapbots, special vending machines that popped up across the US. They were also sold at a temporary shop in New York City that has now closed. The limited distribution created a buzz around Spectacles and some potential buyers lined up for hours to get a pair. This shift in strategy comes after Snapchat’s parent company, Snap, filed for IPO in early February. As part of the filing, Snap said that Spectacles do not generate significant revenue for the company. 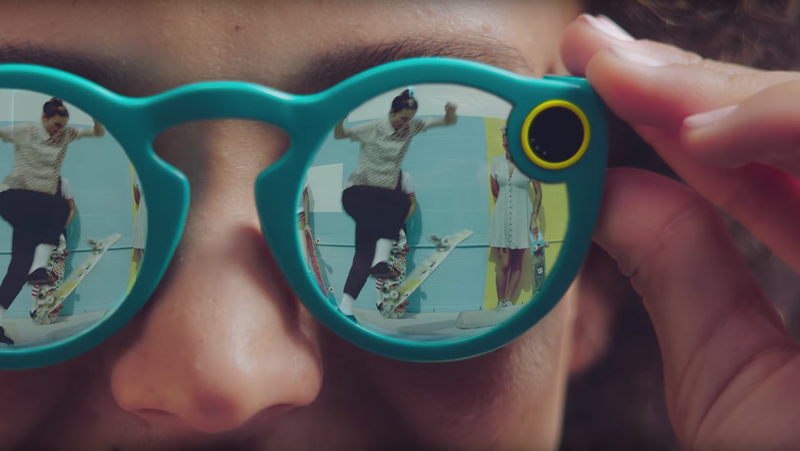 Snap did not disclose sales numbers for Spectacles. With an expected IPO price of $14 to $16 a share, Snap’s valuation is between $19.5 and $22.2 billion. Spectacles bought from the website will cost $129, the same as before. Buyers who purchased Spectacles from Snapbots were limited to two pairs per person, but Snapchatters will be able to snag up to six pairs per household through the website. Snapbots will still continue to pop up around the country after a short hiatus.